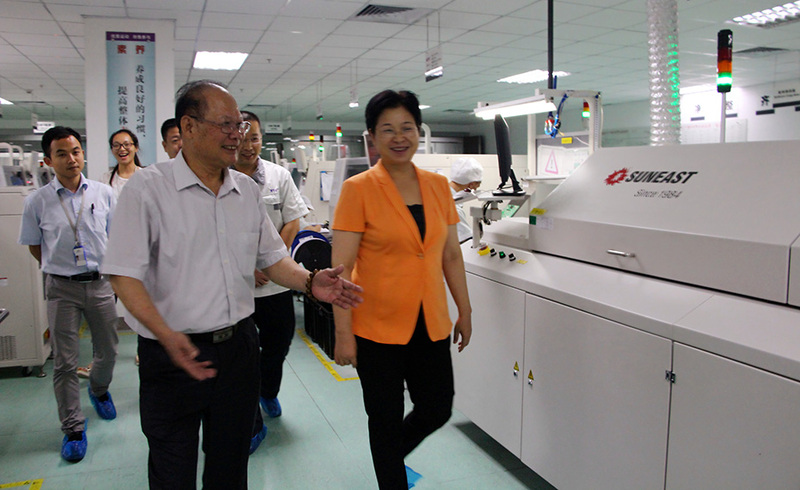 At the afternoon of June 13, Huang Yanxing,Chairman of Huizhou Municipal CPPCC,led a team to carry on investigation activity of “The month of serving enterprise” in KTC Huinan factory,together with Luo Kaige,Deputy Secretary of Municipal Committee of CPPCC and Office Director, Zeng Jianmin,Deputy Director of Municipal CPPCC Office, and other attendants from Supervision Branch of Municipal Government,Municipal Economic and Information Bureau,Municipal Environmental Protection Bureau, Municipal Public Security Bureau,Municipal Land and Resources Bureau,Municipal Human Resource and Social Security Bureau,Municipal National Tax Bureau,Municipal Local Taxation Bureau,Management Committee of Zhongkai high-tech zone and Huinan High-tech science and technology industry park. KTC General Manager,Lin Huizheng, Factory director Wu Chirong and other leaders warmly welcomed our distinguish guests and report work. 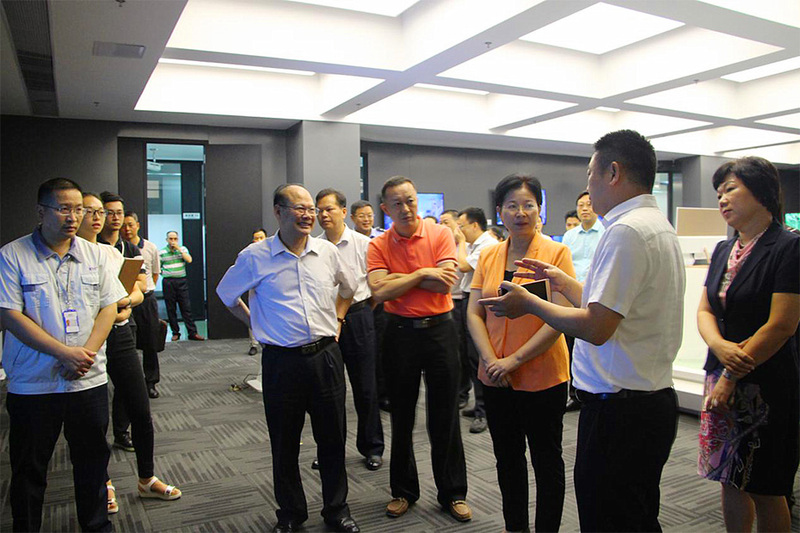 Chairman Huang Yanxing visited KTC’s show room,AI workshop,SMT workshop.MI workshop,LB workshop,film cutting workshop and test center during this trip. 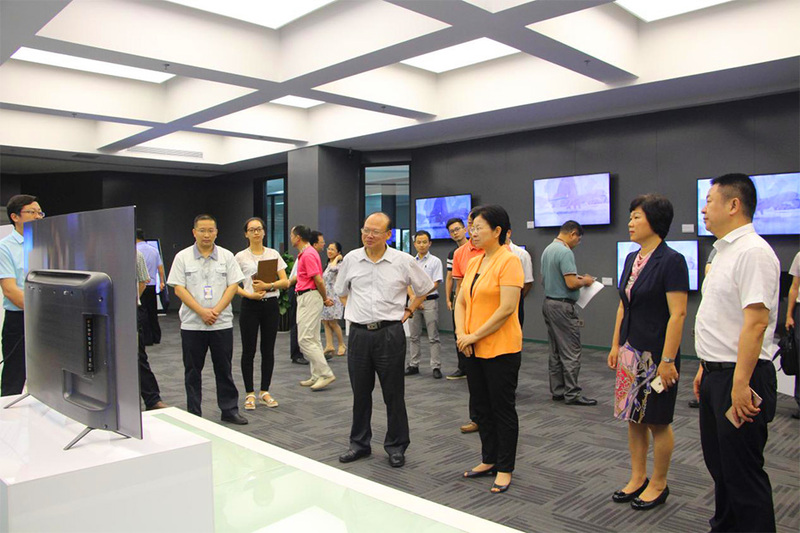 She focused on the function of the devices used for manufacturing high-end flat-panel display products and its productivity,giving full affirmation on our manufacture ability in intelligent section. On the forum,General Manager Lin Huizheng report KTC production and operation condition in the first five months of this year,and the difficulties and problems we encountered,on which Chairman Huang gave highly attention,pointing out that related departments should try their best to help enterprises deal with each difficulty and monitor the implementation of favorable policy among enterprises. Chairman Huang also gave highly appreciation on the some achievements KTC gained in recently,including stable growth of sale,introducing top-level talents,Intensifying research and development capability,deepening on intelligence manufacture,hoping KTC stick on developing advantage,seizing opportunity,pushing its enterprise forward to achieve bigger breakthrough.